Is Hard Water Hurting Your Plumbing? Hard water is notorious for the lovely and crusty mineral buildup it leaves on shower heads and bathtubs, while it leaves your hair less than illustrious, and your clothes hard, scratchy, and a little dingy looking! Hard water not only makes your life duller, but it may be hurting your plumbing. 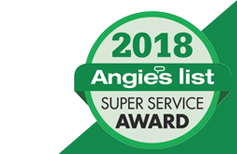 If you’re in an area where hard water is causing an issue with how you bathe and the laundry you wash, it may also be causing internal problems on your pipes. There are measures to take that can address hard water, but it’s always a good idea to call in an expert plumbing company to asses the situation. Learn more about hard water and how it may be affecting your plumbing in today’s post. Hard water is a common water issue it becomes “hard” because it has a plethora of minerals in it, featuring an abundance of calcium and magnesium. While minerals in water are completely normal, they can cause issues for your plumbing and annoyances when it comes to washing and bathing in it. Hard water is measured in grains per gallon (gpg), with 3.5 gpg being on the low end of the spectrum and 10.5 gpg being “very hard” and on the opposite spectrum. In addition to scratchy clothes and dry skin, low water pressure and yellowish-white flakes around faucets and drains are also indicators. How does hard water affect your drains? 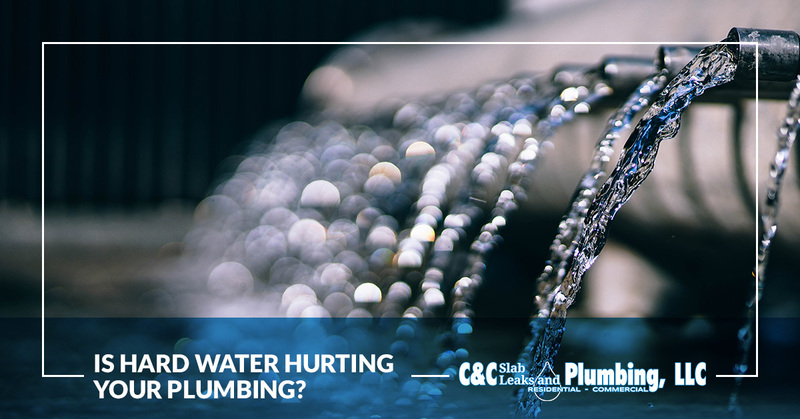 Hard water may be hard on your plumbing because it has a tendency to build up in the pipes. As the mineral-rich water flows throughout your pipes, overtime, it collects deposits in the interior and the pipe begins to clog. The hard water won’t necessarily completely block a pipe, but it greatly reduces water pressure which can lead to leaks and bursting pipes. The wear and tear from hard water can also reduce the efficiency of other appliances such as a hot water heater. The water in the tank leaves sediment at the bottom which has to heat up first, making it wildly energy inefficient to begin with. Because the heater is heating the sediment and then the water, this can cause it to overheat or a burnout. How do you know you have hard water? When you know, you know! The low-tech way to test for it at home is to put water and dish soap into a closed container and give it a good shake. If it fails to sud, it probably means you have hard water. For a more accurate read with specific gpg information, you can take a sample of your water for a lab and they can gather that information for you. To fix hard water, you’ll need a licensed plumber. If your hard water is causing you any of the issues listed above, you’ll to seek help from a plumber. 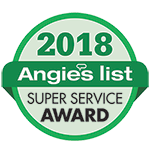 A plumber can install a water softener to your main water line that helps to balance the minerals, and if they’re in bad shape, they may need to be replaced. For more information about how we can help you with your hard water needs, contact us today!